Quite often I like a light salad for dinner and caesar salad is simple, yet so good. I always make the dressing myself – it is really easy to make and much better than the one you buy at your grocery store. 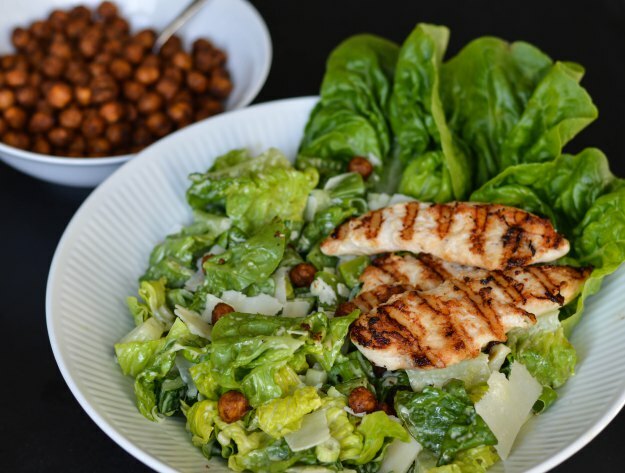 Instead of adding croutons I chose a slightly more “low carb” version by making crispy chickpeas – and make sure to make a big portion – you might get addicted!